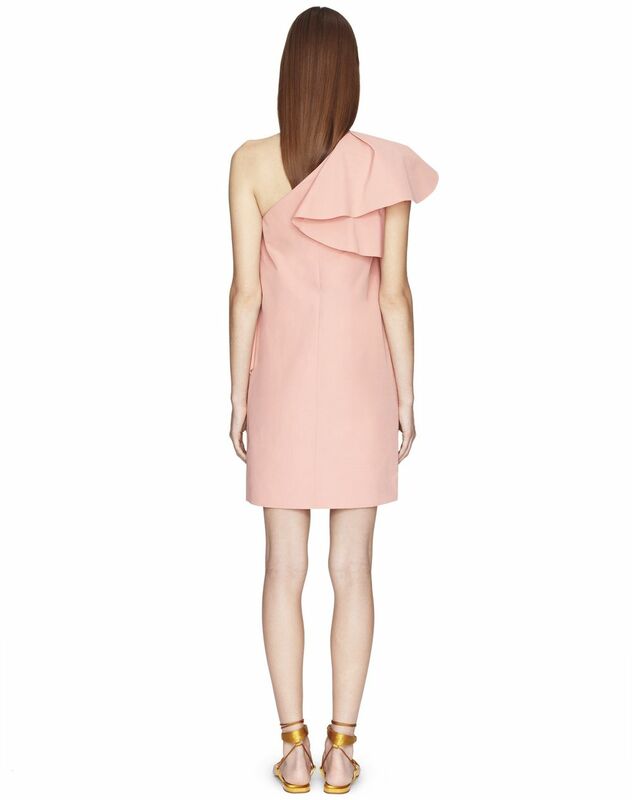 Short blush-coloured cotton weave dress with asymmetrical cut-outs, ruffle inset, side pockets, and invisible fastening on the right side. 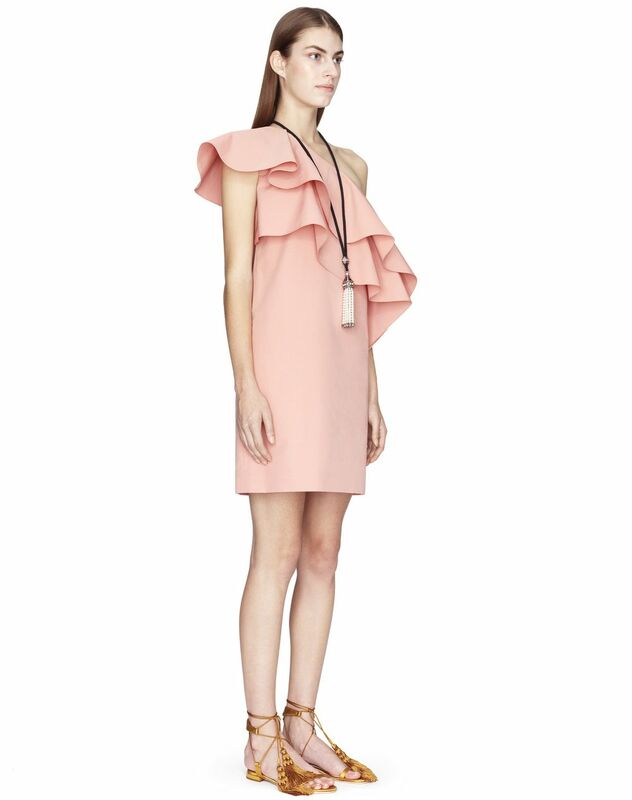 With its powder pink colour and ruffles that accentuate its asymmetrical cut, this dress stands out for its refreshing, feminine style. 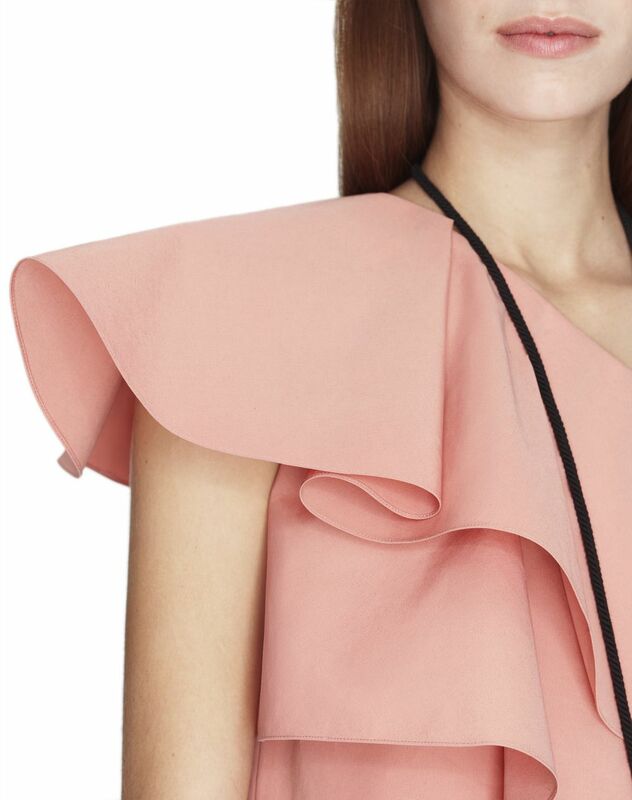 This comfortable and romantic piece in cotton weave promises an elegant, graphic look. Main material: 55% cotton weave, 45% polyester weave. Model's measurements: Height: 178 cm Chest: 84 cm Waist: 59 cm Hips: 88 cm Model wears a size 4. Made in Slovakia.